GIBRALTAR, Gibraltar - March 18, 2018 - PRLog -- IPCHAIN Database (www.ipchaindatabase.com) aims to revolutionize the protection of intellectual property (IP) through the use of decentralized Blockchain technology to effectively protect the interests of users. Leading authorities and stakeholders in IP support IPCHAIN, among them the world's biggest IP law firm (Dennemeyer Group), WIPO Green (a division of WIPO, the World Intellectual Property Organization), leading universities and research organizations. The tremendous potential of integrating Blockchain Technology with IP management has been underlined by a recent article in the official WIPO Magazine and will massively improve contemporary strategies to protect the creations of artists, researchers, inventors and companies. 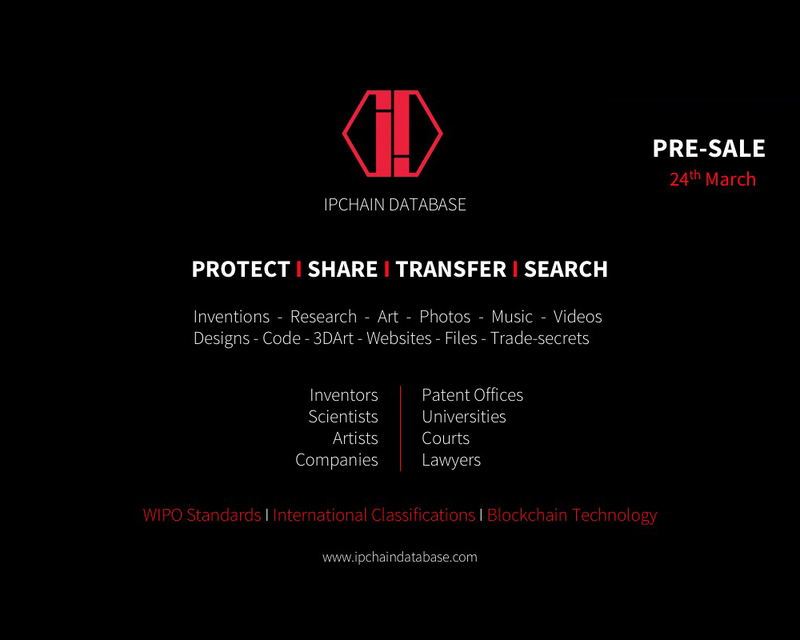 IPCHAIN Database protects the interests of users and establishes authorship beyond all doubt, representing the fastest, easiest and safest way to establish ownership of IP, including inventions, original literary and artistic works and scientific research. The platform's architecture provides users with tools to safely share information on confidential IP by uploading non-disclosure documents to the Blockchain, thereby offering a secure marketplace due to the documentation of transfers of ownership and contractual agreements. IPCHAIN has been designed to allow for the safe storage and sharing of confidential company information (trade secrets). The platform thus specifically addresses the needs of innovators of the academic, private and corporate sectors.